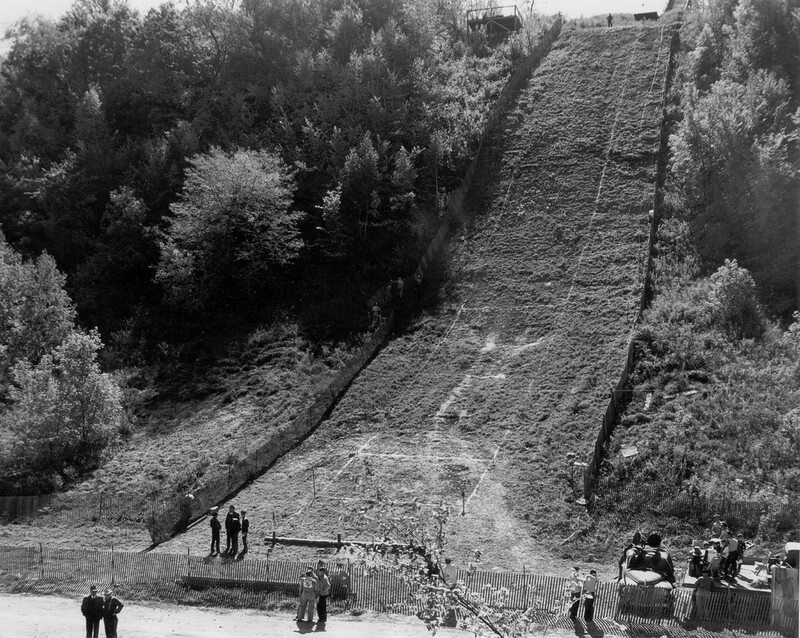 Archival image of a hill climb. Image courtesy of the Harley-Davidson Archives. 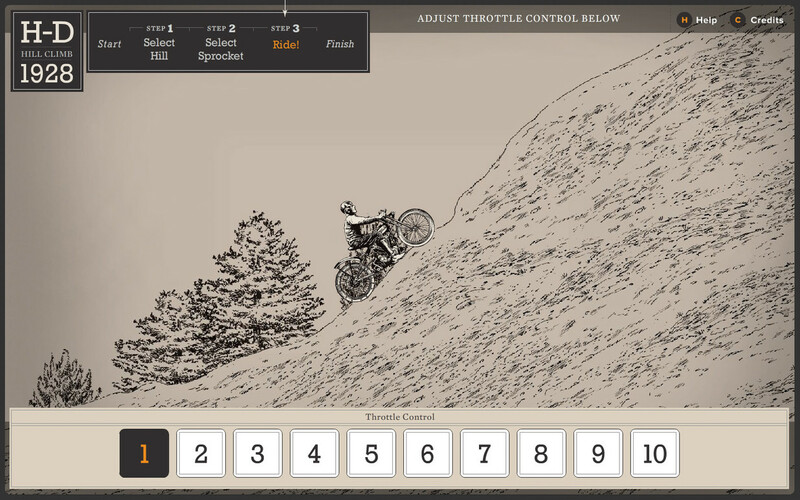 If the throttle is too low, the bike won't be able to drive up the hill. If the throttle is too high, the bike will start to flip over. 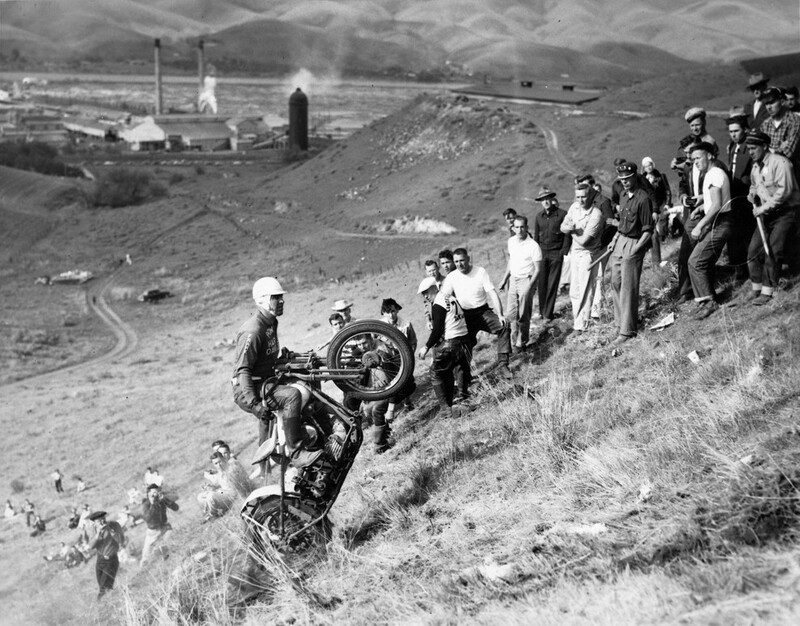 Archival image of a hill climber riding up a steep hill. Image courtesy of the Harley-Davidson Archives. 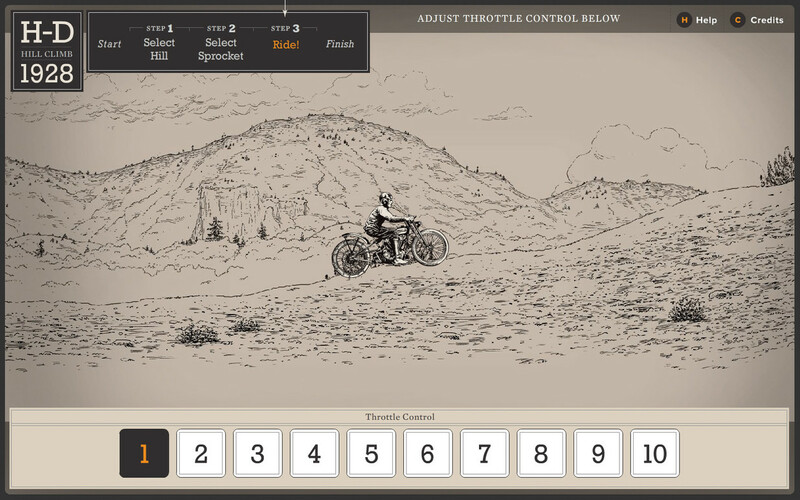 This touchscreen interactive simulates the decisions and resulting experience of a rider in 1928 as he/she attempts to climb a hill on a customized Harley-Davidson motorcycle. 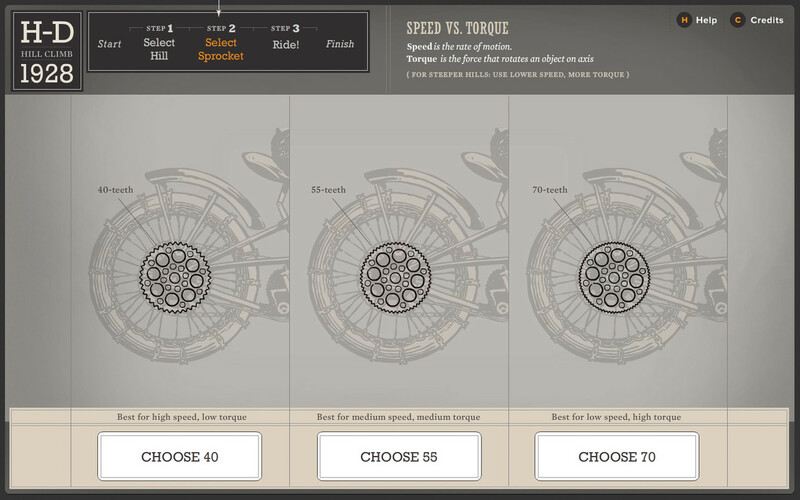 Belle & Wissell collaborated with the Harley-Davidson Museum to empower museum visitors to enjoy a game-like challenge while learning about speed, torque, and traction along the way. 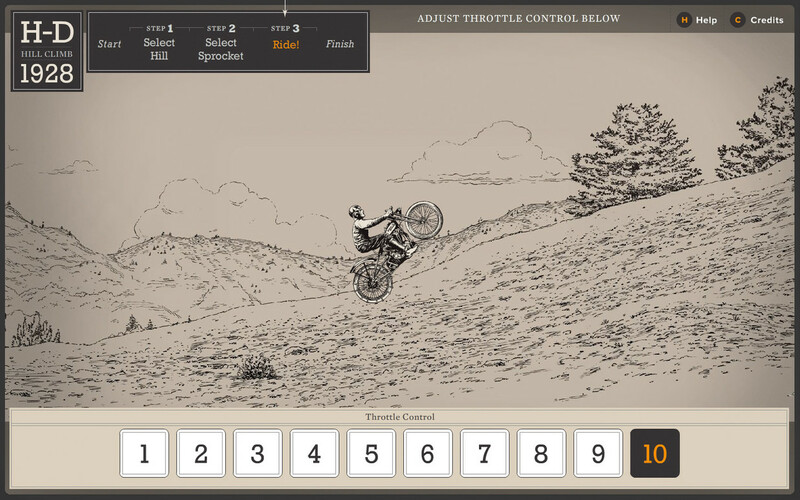 Users can select a hill to conquer, choose an appropriate sprocket for that terrain, and then control the throttle as the bike races up the hill. 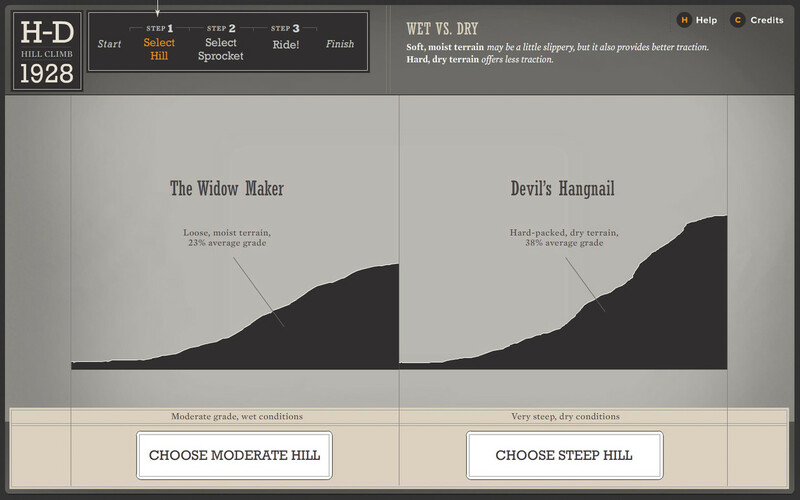 Belle & Wissell team member Seb Chevrel programmed a real-time physics engine to ensure that every hill climb attempt is unique and rewarding.